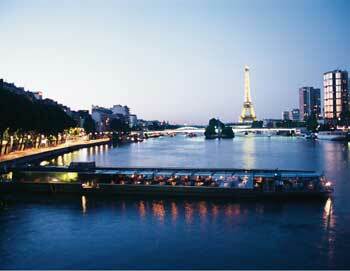 Combine a dinner with a sightseeing cruise and make the most of your time in Paris! Enjoy a 2-course dinner at the beautiful Bistro Parisien offering unique views of the Eiffel Tower and the River Seine, followed by a sightseeing cruise. Treat yourself to a delicious dinner at the see-through, glass restaurant Bistro Parisien and enjoy the view of the Eiffel Tower while you eat. 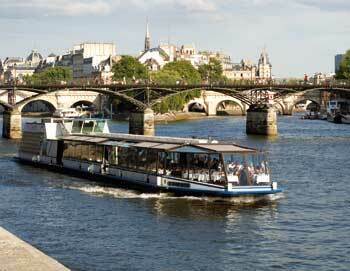 Combine your dinner experience with a beautiful sightseeing cruise on the River Seine. You can choose between a starter + main course or a main course + dessert. 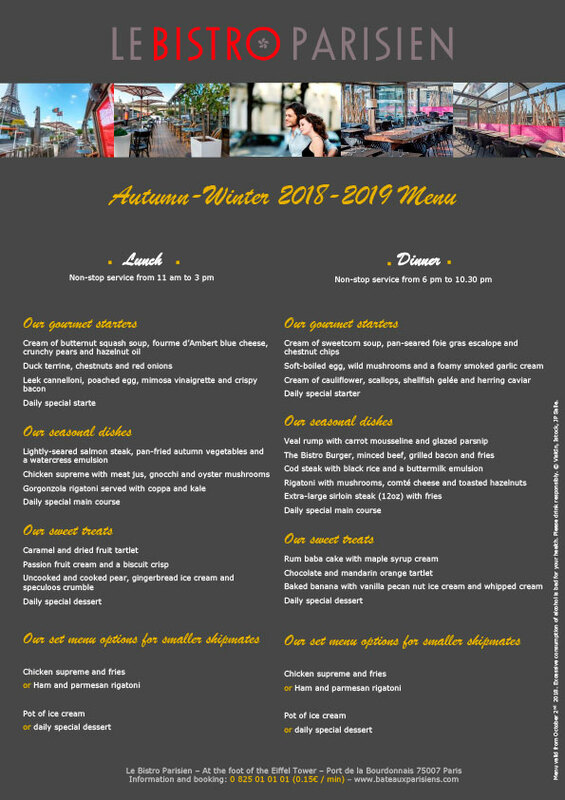 You can choose to book your dinner at Bistro Parisien with or without the sightseeing cruise. You can see the dinner menu here. Dinner is served between 6-10:30 PM. The sightseeing cruises run between 10 AM-10:30 PM.